Fox Pest Control provides pest control in Dix Hills and the surrounding areas. We take pride in providing exceptional customer service, and take to heart the feedback we hear from each and every one of our customers. 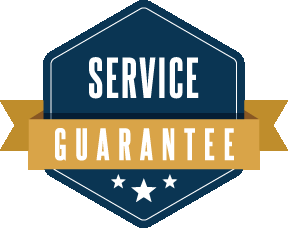 Below you’ll find our reviews, testimonials, and feedback from the home owners and businesses in Dix Hills we’ve serviced. If you need a Dix Hills exterminator, contact us today! We switched from Orkin to Fox pest control Long Island. We have not had Fox for a very long time but in this short period the service and customer service has been exceptional. Melanie from the office was very nice and patient and helped us with getting service set up quickly. We have had 3 service technicians at the house, all three have been great. Danny was the last service tech and he was very insightful. Thank you all. We will continue to use Fox so long as the service remains the same. Amazing service !!! They always go above and beyond and exceed my expectations! Do not go to anyone else for pest control !! Manny was the person that serviced my home and was so courteous and professional! I was very impressed with your associates knowledge and they were both very thorough and made me feel very confident that they were going to take care of my problem! So far the best service I have got from any pest control. Courteous, professional, and effective service. I was very impressed with the thoroughness of the service. The technician was on time and very polite. Always had a great experience with Fox. All their representatives are super friendly and helpful. We called them about our ant problem and after only one visit, we had no more ants. Would definitely recommend their services! Wow, what a pleasure. They arrived promptly the day after I called. They were extremely professional , knowledgable and courteous. You couldn't ask for anything more. I'm so happy I found them. It's a good feeling when you hire someone you have confidence in. They not only treated for the indoor ant infestation but for carpenter bees they found in several locations outside my home. Their prices were very reasonable and I consider it money well spent. Call them, you won't be sorry.